Once in a while, a game comes along that defines its generation. A game so brilliant, that to give it 10/10 would be to underscore it. 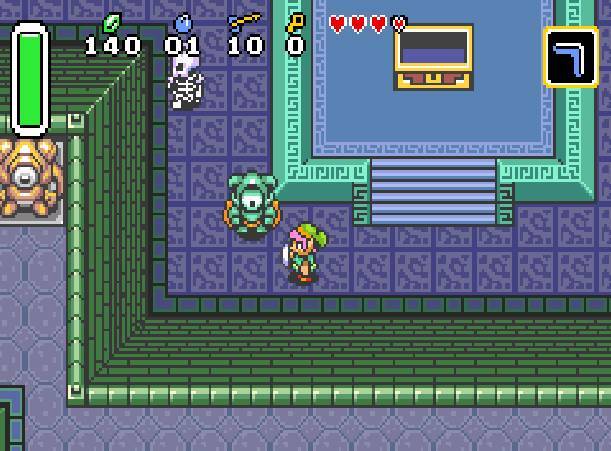 For me, A Link to the Past is that game. It is a work of art in the 16-bit medium. This game is not only beautiful to look at (despite its age, it still looks fantastic, bright and colourful), but it still manages to sound good too. Of course, graphics and sound don’t define games, gameplay does, so what can I say about it? 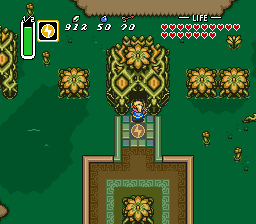 Firstly, I can’t think of any other Zelda game off the top of my head that has so many dungeons! 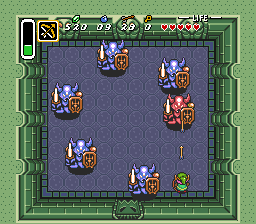 There are 12 different dungeons to explore, each one with different traps and enemies, and nearly all of them have a big bad boss waiting at the end. The only, tiny complaint I could make is that a couple of the bosses are a bit samey, and one or two are quite easy (though I might be saying that because I’ve played through it so many times! ), but some bosses (such as the thief or the giant moth, to say nothing of the horrid worm-like thing!) are fiendish and devised by a deviant mind! There’s a great deal to do that doesn’t involve dungeons too. You can travel between two linked worlds (light and dark) and actions in one can have consequences in the other. 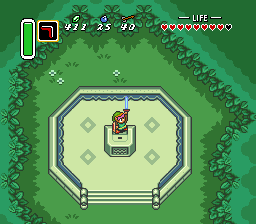 Indeed, there are points where you have to jump between worlds to get anywhere. The clever mechanics of this also encourage you to explore the world around you, without forcing you down a linear path (though there are elements of that). The almost dizzying array of items gives you an impressive armoury (once you collect them all of course! ), and you can use some of them in creative ways to further your cause. I tended to stick with the boomerang a lot of the time (a trusty sidearm, as it were), but you could pound things with a hammer, use bombs to open holes in floors, and even turn invisible. This game really did have it all! Nostalgia isn’t always a good thing. It can make us see things through rose-tinted glasses. 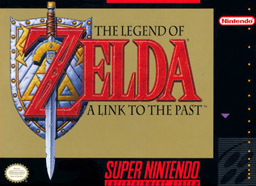 In the case of A Link to the Past, there is no need. This remains one of the greatest achievements in video game history.